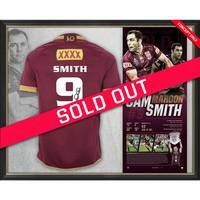 Official Memorabilia, in conjunction with the NRL and Cameron Smith, are proud to release the Cameron Smith Signed QLD Maroons Retirement Jersey. 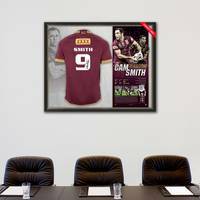 Celebrating Smith’s unrivalled representative career, this magnificent jersey display is strictly limited to just 50 editions worldwide, and comes personally signed by Smith. 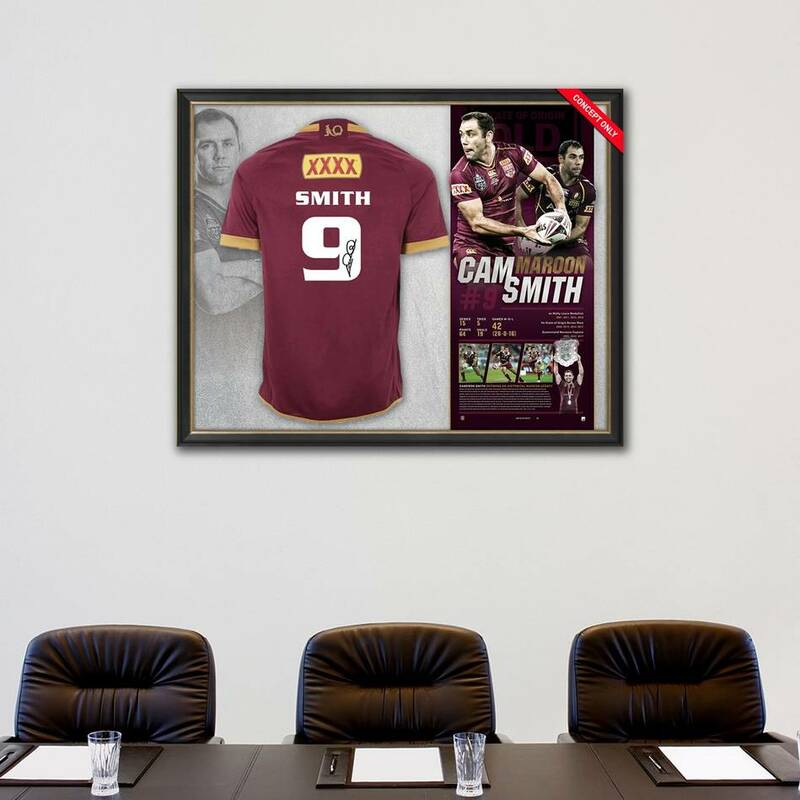 Officially licensed by the NRL and endorsed by Smith himself, there is no better way to immortalise one of the greatest representative careers of all time. Don’t miss out.